In a recent article, I wrote about the Glock 19 vs the SIG P229 9mm, both of whom I own, but my father recently hooked me on to .357 and I’m considering switching the P229 or even my Glock 19 gen 4 to that caliber. I don’t have vast experience with the .357, but I’ve come to enjoy shooting it. My dad, who is a veteran self-defense gun instructor, along with many law enforcement professionals (including the Secret Service) believe the .357 has just the right combination of features to make it a near perfect self-defense round. This is my .357 SIG Ammo Review. In the early 90’s, SIG SAUER executive Ted Rowe noticed police departments had begun replacing their six-shot .357 Magnum revolvers to SIG’s higher round capacity 9mm and .45 ACP pistols. This was not without certain misgivings and yearnings for the venerable six-shooters. Many officers said they missed the vaunted stopping power of the 125-grain Magnum round. Rowe took note and set about the task of offering an alternative. Rowe got SIG to collaborate with Federal Cartridge, and the result was the .357 SIG round unveiled in 1994. Its bottlenecked case allowed enough power to drive a 125-grain .355″ 9mm bullet 1,350 to 1,450 fps out of a service pistol. The .357 SIG was not revolutionary in its basic design. Bottlenecked pistol cartridges have been around as long as the self-loading pistol, which has existed since the late 1800s. The design allows a smaller bullet to travel as fast as a larger caliber bullet. The .357 SIG is essentially, but not exactly, a .40 S&W necked down to 9mm, although the case has to be about thick hair length longer than a .40 just to have the dimensions work out properly. What was new was that it allowed a semiauto pistol cartridge to match a revolver, specifically the .357 Magnum with a 125-grain jacketed hollowpoint, in performance and stopping power. The .357 SIG has higher velocity and achieves higher energy levels. Since energy is generally considered closely related to stopping power, then it is no wonder many Law enforcement agencies chose the .357 SIG over the slower and heavier .45 ACP. Not only is it a speedy little round, the bottleneck shape makes feeding issues virtually non-existent. Today, there are more state police/highway patrol units issuing the .357 SIG than issuing .45 ACP, and the .357 round is second only to .40 S&W in popularity among many state trooper agencies. When I fire the .357, I feel that the recoil is certainly more than my 9mm, but about the same for my .40 S&W. It must be noted that I also have much less experience firing the .357, and I’m sure it will become more comfortable with time and practice. Shooters keep debating back and forth on whether the .357 SIG or the 40 S&W kicks more, but this only shows how the two rounds are really in the same ballpark in that regard. Felt recoil is always a subjective matter though, so some people think this way or the other and both are correct. What is generally agreed upon is that the.357 SIG can be tougher on the gun. This is another point that has to be kept in mind when considering the over-all cost and weighing pros and cons of this ammo. Glock suggests armorers replace recoil springs on the .357s roughly every 2,000 rounds. 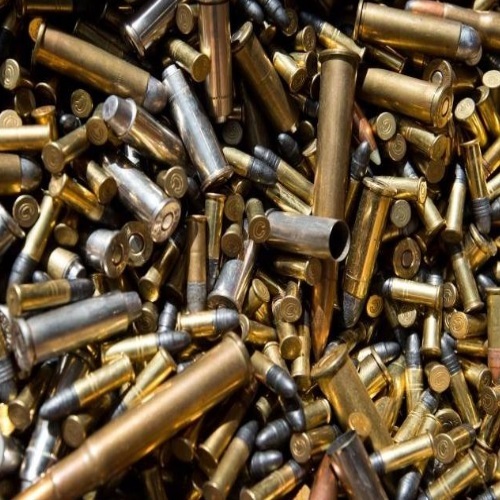 The ammo price itself is a catch 22- It is in lower demand (and availability) because it is expensive, but it is also expensive because it is in lower demand. Luckily, you don’t have to go broke shelling out for .357 to shoot at the range. By simply purchasing a new barrel, you can swap from .357 SIG to the cheaper .40 S&W for target practice, then vice versa again. Magazines will usually interchange between the two calibers, though the little SIG P239 is a notable exception. 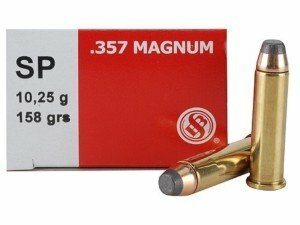 .357 SIG vs .357 Magnum – Prior to the .357 SIG’s introduction in 1994, the .357 Magnum’s performance was unmatched by any semi-automatic pistol round. Rowe’s goal was to equal the performance of a 125-grain bullet shot from a 4-inch barrel .357 Magnum revolver out of a semi-automatic pistol, and he did a good job of that. There are many upsides to the .357 SIG round. They include a higher capacity from an easier to conceal handgun with the same stopping power police officers depended on from the .357 Magnum. The .357 SIG has the capability to travel faster than the .357 Magnum with less recoil and muzzle flash. .357 SIG vs .40 S&W – Law enforcement agencies were looking for a round that could penetrate well, and the .357 SIG could penetrate barriers such as car metal, windshields and heavier clothing that the .40 S&W (and even .45 ACP) could not. The .357 SIG can also be loaded to higher pressures than the .40 S&W. Plus a full capacity magazine loaded with .357 SIG weighs less than a full magazine of .40. Due to the similarities, .357 SIG guns can convert to .40 S&W with a barrel swap. This allows you to save money firing the cheaper .40 S&W for practice. .357 SIG with 125-grain bullet at 1,450 fps: 583.7 ft-lbs. .40 S&W with 180-grain bullet at 1,050 fps: 440.7 ft-lbs. .45 ACP with 230-grain bullet at 850 fps: 369 ft-lbs. Some consider the .357 SIG a niche caliber, however, it is certainly one that performs to a greater expectation for law enforcement than other self-defense rounds. The extra velocity of the .357 SIG gives it better penetration performance over slower rounds such as the 9mm and .40 S&W. The .357 is indeed a good round, and highly potent, but the high cost of limited ammo choice plus the increased difficulty in reloading makes it a less than popular round. You need to figure out whether or not it suits you. Law enforcement agencies at local, state and federal level use it, and they have to meet the requirements of a broad cross section of shooters, so that says something. If you’re coming from a 9mm background, keep in mind that it operates at the higher level of the handgun recoil scale, and it takes practice commitment to handle proficiently (as does any gun to be frank). After all, the only thing that counts is getting hits on target. If you can do that, then all the other things like velocity and expansion results don’t matter. For me, I’m going to go ahead and replace my SIG Sauer P229 9mm. I got hooked on the .357 SIG cartridge. The superior grip ergonomics of the P229, combined with the solid extra weight and real metal construction make it a great .357 SIG shooter. 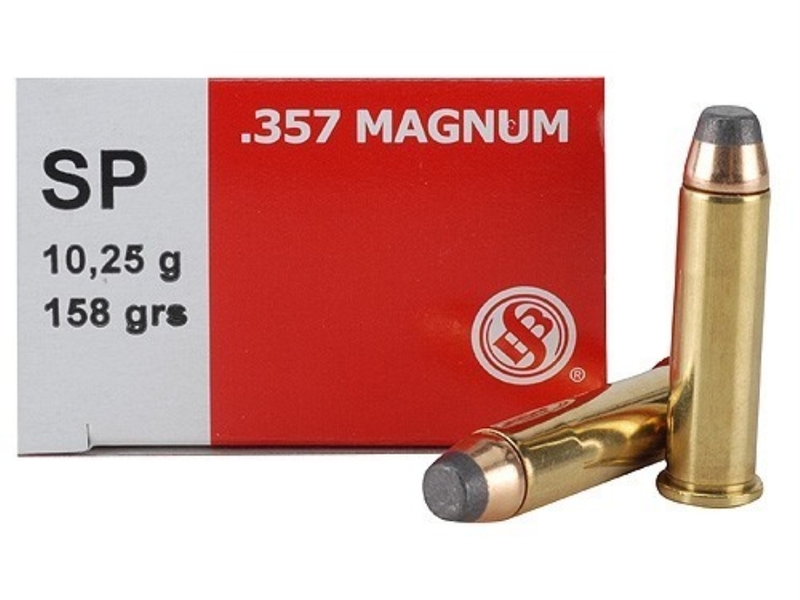 The .357 SIG is one of the most tactically sound cartridges on the market today. Given its ballistic performance, low recoil for fast follow up shots, incredible accuracy and capacity capability, not to mention its incredible real world performance; it gets a high score in my book. Plus being able to swap out barrels to the abundant and cheaper 40 S&W for plinking and practice and still being able to use the same magazines is a huge bonus. I’m not using a Sig firearm, but my EDC gun is a Glock 33 in 357 Sig. I carried the model 26 in 9mm for a lot of years, but after reading about the 357 Sig cartridge I wanted to try it. I loaded up my new Glock 33 and after firing the first round my mouth was big enough around that it resembled a large coffee cup. I was expecting more recoil, but not that much. Now keep in mind that I’d been shooting 9mm for many years and the recoil of a 9mm doesn’t come close even out of the same size guns. Anyway, after I knew what to expect I haven’t looked back. Is there anything wrong with the other cartridges for self defense? Absolutely not. Anyone that says so also contradicts themselves if you ask them if they wouldn’t worry about being popped with one. They get a real pissy attitude right out the gate and that pretty much takes care of their argument. Like anyone else, I have no interest in being popped with anything no matter what caliber it. That includes the good ol’ Daisy Red Rider. LOL! Everyone has their opinion on what to carry and I totally respect those decisions, but for me, I’ll have my model 33 attached to my hip and pray I never have to use it. I have no interest in being in a gunfight, but if I’m ever forced to do so, I’m pretty sure my 357 Sig cartridges will give the bad guy a real bad case of heartburn and indigestion that Maalox won’t fix. I own several 9mm and .45s, since I bought a Glock 32…I have divorced my Berettas, Colts and S&W for this amazing cartridge, the .357 Sig…even I am almost 80 yo…I can handle it with ease and no problem at all with recoil. 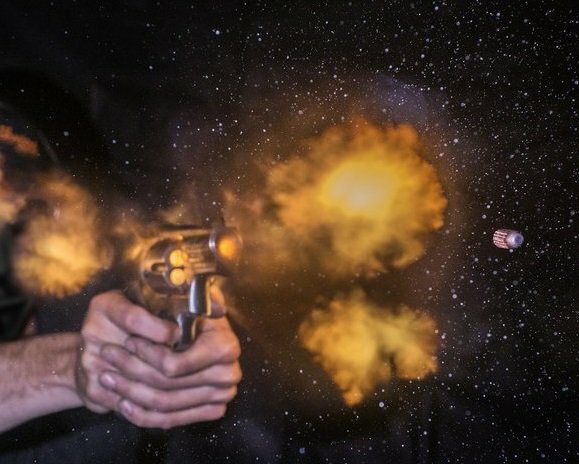 Not only does the 357 SIG achieve, higher velocities, more energy in fps, and better penetration, but the 357 SIG fires on a very flat trajectory, making it a more accurate than other calibres. It combines features of both, 9mm, and .40 calibres, and results in the 357 SIG. The improved performance harnessed by the 357 SIG, essentially, equates the 357 SIG to that of a 9mm Magnum! With that said, the performance of the 357 SIG, all but makes the standard 9mm an antiquated, obsolete calibre.